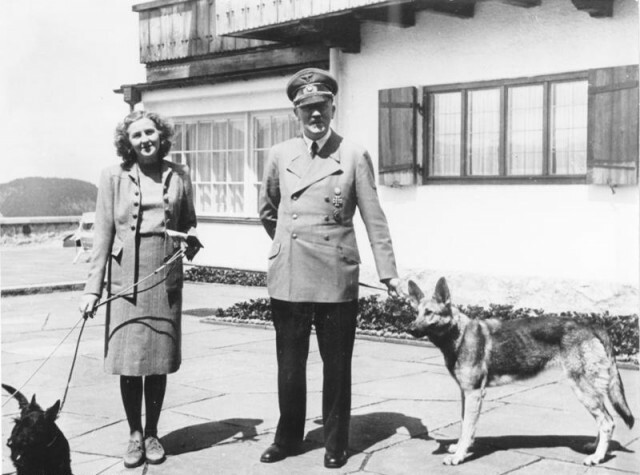 In her 2011 book, Eva Braun: Life with Hitler, author Heike G. Gortemaker paints a portrait of an Eva that was more than the often inferred naïve and unwitting arm piece of the Fuhrer. Previous biographies, conjecture, and scholarly thought disagree, but could this theory be right? Could Eva have been a more engaged participant than has been previously thought? 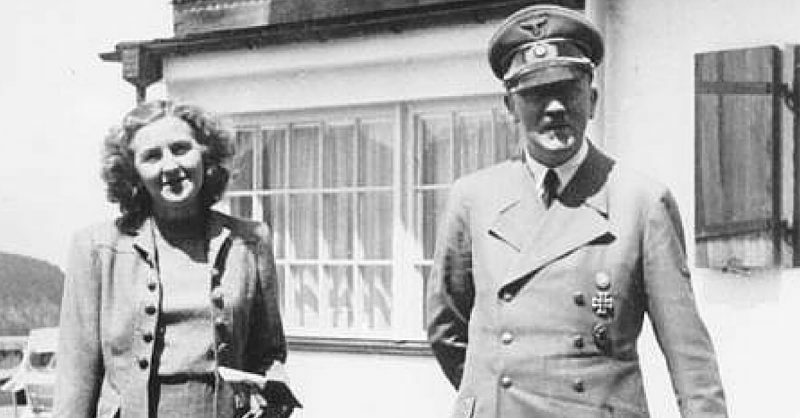 Braun became Hitler’s mistress in 1932, but lived a relatively isolated life. In an interview conducted with Gortemaker, Richard Ernsberger Jr of History.Net focuses on this theory. He asks, pointedly, if Eva was more than a “simple-minded blonde”. Gortemaker responds that she was not, and that the impression that the world has of her as such is based on biased quotations of Hitler’s inner circle. She goes on to say that “his cronies” hated Eva; that history spun Braun into the camp of female Nazi party participants that claimed to have no political leanings when the party failed after the lost war. Are Gortemaker’s assertions on point? Are Eva’s attitudes and participation an evolution or are prior historians correct in describing her as a malleable young woman caught up in the charisma of one of history’s most powerful men? Eva was a photographer’s assistant when she first met Hitler, and her daily concerns were about socializing with her friends and other wonderings of a single twentysomething. Signed 7×5 photograph presented by Braun to Hitler’s secretary Traudl Junge. Her diary entries when her relationship with Hitler was first budding are not dissimilar to those of lovelorn women today. She very nearly says “he’s just not that into me”. He has left for Berlin again. If only I didn’t go mad when he sees me so rarely. After all, it is quite obvious that he is not really interested in me when he has so much to do in politics. In the early years, while she does get a somewhat spoiled self-satisfaction from being “the mistress of the greatest man in the Germany and the world”, she seems to see his politics as a side note of his personality and his relationship with her. I have just sent him the crucial letter. Question: will he attach any importance to it? We’ll see. If I don’t get an answer before this evening, I’ll take 25 pills and gently fall asleep into another world. He has so often told me he is madly in love with me, but what does that mean when I haven’t had a good word from him in three months? So he has had a head full of politics all this time, but surely it is time he relaxed a little. What happened last year? Didn’t Roehm and Italy give him a lot of problems, but in spite of all that he found time for me. Maybe the present situation is incomparably more difficult for him, nevertheless a few kind words conveyed through the Hoffmanns would not have greatly distracted him. There is a possibility that Eva was also emotionally unstable. She attempted suicide at least twice before the final suicide with Hitler. Her attempts came in 1932 and 1935 and both stemmed from her feelings of unrequited love. “I am afraid there is something behind it all. I am not to blame. Absolutely not. Maybe it is another woman, not the Valkyrie — that would be hard to believe. But there are so many other women. Is there any other explanation? I can’t find it. God, I am afraid he won’t give me his answer today. If only somebody would help me — it is all so terribly depressing. Perhaps my letter reached him at an inopportune moment. Perhaps I should not have written. Anyway, the uncertainty is more terrible than a sudden ending of it all. 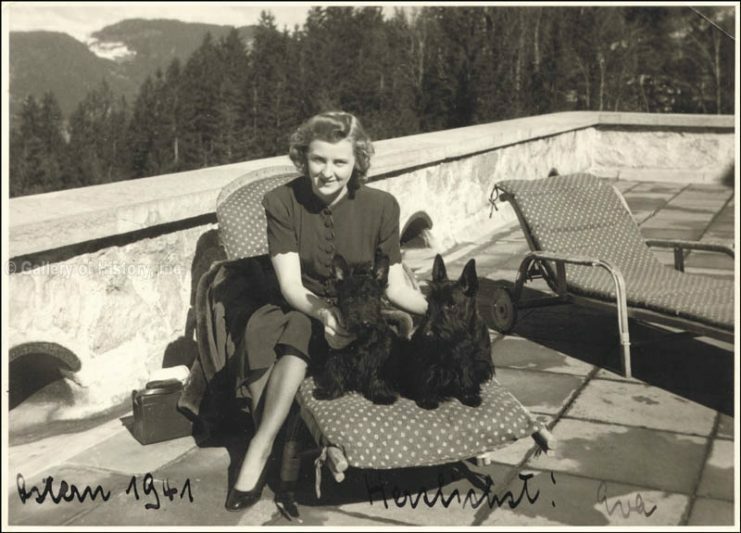 Many have seen the footage that Braun shot of Hitler playing with dogs and small children at the Berghof – Gortmaker makes it seem as though Eva conceived an idea to film propaganda for Hitler’s cause, and that she also took many of the photographs published by Heinrich Hoffman. Gortemaker says that Eva made 20,000 marks for one of the films of Hitler posed as a family type man. 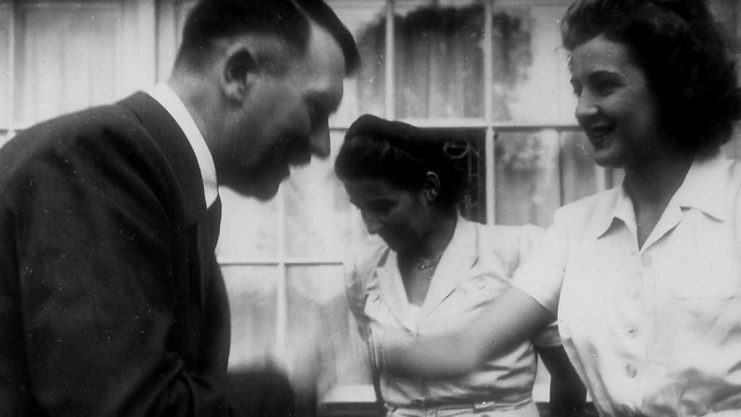 The two were rarely seen together and few Germans even knew of her existence (even some of Hitler’s intimates were unsure about the nature of their relationship). Gortemaker also says that while Eva was not a member of the Nazi party, she did understand that the Jews were being persecuted that she supported it. But does history really show that she was aiming for that position for political or power reasons, or was she aiming for closeness and inclusiveness in the world of the man she loved? Other sources, such as Albert Speer, household staff, and Eva’s own cousin paint a different picture. Speer took pity on Eva at times, saying that she was often exiled from the room when higher level dignitaries were present and that he would visit her during those times. Speer gives the impression that Eva was something nice for Hitler to look at and be entertained by. “Hitler kept his Eva like a puppet in a doll’s house. She was a part of the ambience, like the canary cage, the rubber tree … and the kitschy wooden clocks. 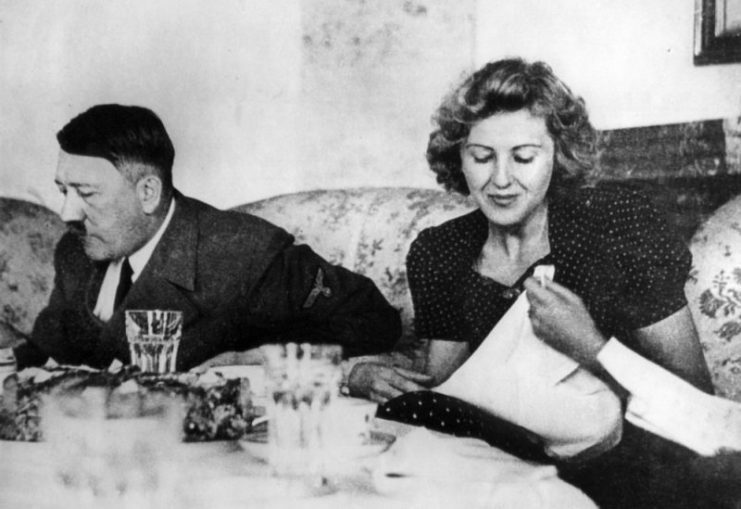 … Eva Braun was allowed to be present during visits from old party associates. She was banished as soon as other dignitaries of the Reich, such as cabinet ministers, appeared at the table … Hitler obviously regarded her as socially acceptable only within strict limits. In April 1945, Braun joined Hitler in his Füherbunker in Berlin. As the Russians were closing in the city, Hitler begged her to leave, but Braun refused. The couple was married on April 29, 1945, the day before Braun committed suicide by taking poison. 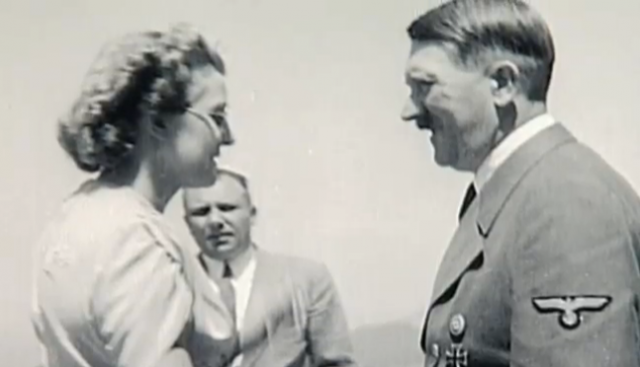 Hitler was often patronizing toward her. In her diary she wants his love, but he sometimes only gives her money. Yesterday he invited us to dinner at the Vierjahrenzeiten (Four Seasons). I sat with him for three hours and we did not exchange a single word. At the end he handed me, as he had done before, an envelope with money in it. It would have been much nicer if he had enclosed a greeting or a loving word. I would have been so pleased if he had. But he not think of it. Braun’s own cousin, who spent a significant amount of time with her in the later years of the war, even living with her for a long period at the Berghof, said years after the war that Eva was depressed, unknowing, and mostly concerned with how Hitler felt about her and what she could distract herself with in what was a nearly incarcerated existence. Whether or not Eva knew more than she let on with her cousin, the woman spent more than six months with her toward the end and did not come away with the impression that Gortemaker has from researching what is available in the historical record. To summarize her stay, Weisker says “”For me that world was oppressive. And I felt oppressed by my challenge — to get her out of that lethargy. That is why I stayed. I wanted to get behind what it was that bound her to this man, I wanted to support her.